Take a step back in time with a visit to Legend Rock. Located approximately 30 miles northwest of Hot Springs State Park, Legend Rock enables visitors to view over 300 petroglyphs spanning a time-period of thousands of years. 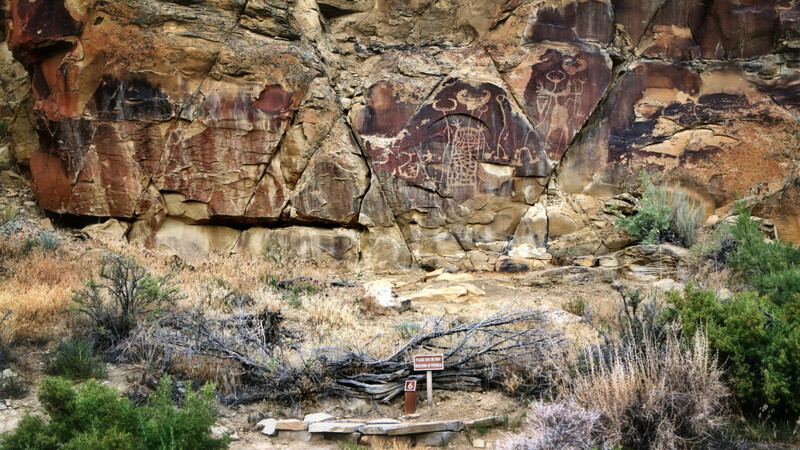 These petroglyphs introduce you to multiple cultures and eras long past. The site is administered out of Hot Springs State Park where visitors are encoursaged to stop before visiting the site. A key and permit are required to attend the site. 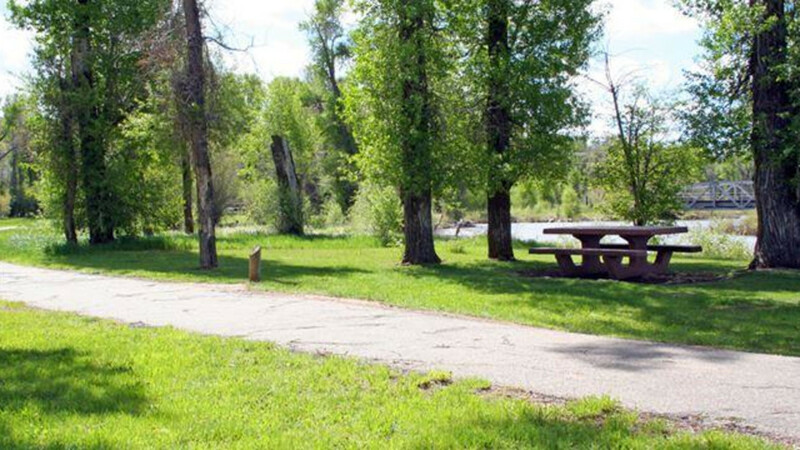 Keys and permits are available at the State Bath House, located at Hot Springs State Park, the Hot Springs County/ Thermopolis Chamber of Commerce and the Meeteetse Museum. There is no charge for the permit but a photo ID is required. The Bath House is open seven days a week from 8 a.m. to 5:30 p.m., Monday through Saturday and noon to 5:30 p.m. on Sunday. Family and group tours can also be scheduled through Hot Springs State Park. A minimum one-week notice is recommended. Tours are free to the public but availability may be limited so be sure to call the state park office ahead of time at (307) 864-2176. While at Legend Rock be sure to stay on the marked trails and observe proper rock art etiquette and respect for the people who hold this site sacred. Defacing any part of rock panels in anyway is prohibited and can be a felony under state and federal laws. Do not touch the rock panels in any way as they are fragile and even oils from your hands can affect future site dating research. Do not pick up or move any artifacts or rocks as they can contain valuable cultural information and even the location of the rocks is important to that data. Be sure to keep your permit with you for Bureau of Land Management and State Park Rangers to check. The site is also under video-surveillance for security reasons. Bring your camera and feel free to take pictures. Binoculars area also recommended for viewing some of the details of these exquisite petroglyphs. Children must be under adult supervision at all times. Pets must be on a leash. Please lock the gate behind you and place the key in the key drop location at the gate when you leave. Summers can be hot so bring plenty of water. 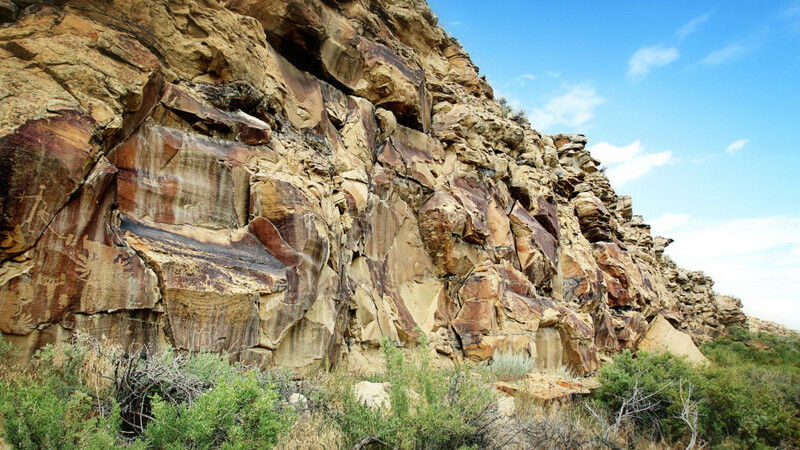 Legend Rock is a special place and one of the highlights of the Big Horn Basin and Wyoming. 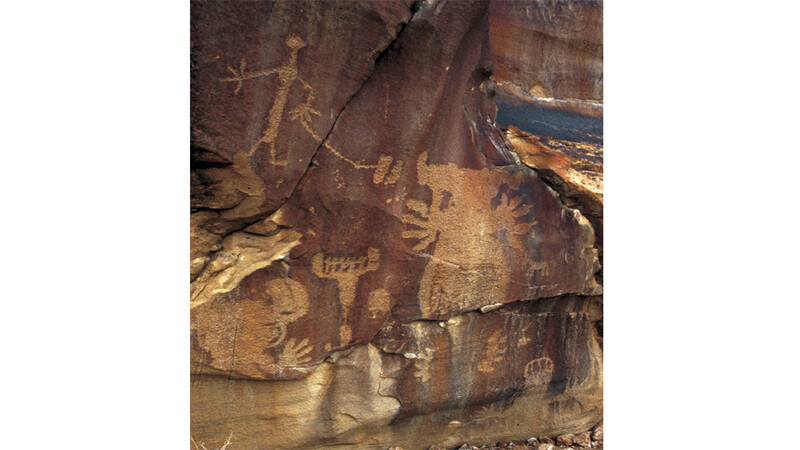 Legend Rock, while not heavily promoted, is already a world-renowned rock art site. Please enjoy this cultural site and out of respect for the people who tread this sacred ground take only photographs and leave only footprints.